1. Jhulan Goswami has the most ODI wickets in Women’s Cricket. She has 185 ODI wickets. 2. India has never lost an ODI against Pakistan, Bangladesh, Ireland, Netherlands or Denmark. 3. Mithali Raj is only the 2nd women to score +5000 ODI runs. She scored approximately 5898 runs in ODIs. 4. 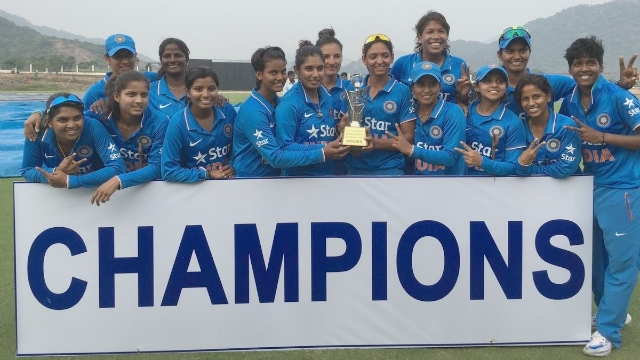 Poonam Raut and Deepti Sharma made the highest ODI partners in women’s cricket. They scored 320 runs vs Ireland under the partnership. 5. Jhulan Goswami has taken the 2nd highest number of outfield ODI catches in women’s cricket. She took about 53 outfield ODI catches in her career so far. 7. Indian skipper Mithali Raj has played the 2nd highest number of ODIs in women’s cricket. She played 179 ODIs and stood in 2nd place for that. 8. Smriti Mandhana has never been dismissed for a duck in an ODI. 9. Mithali Raj holds the record for the most ODI 50s in women’s cricket. She scored 47 50s in ODI matches in her career, which is a record. 10. Mamatha Maben has the best bowling figures by a captain in ODIs. She has 6/10 vs Sri Lanka. Her bowling is a pleasure to watch for every Indian cricket lover. 11. Mithali Raj went 7 years without being dismissed for a duck. She went for 2000 to 2007 years without being dismissed for a duck. That's true.You have pointed your views very nicely. Hey, the latest collection of Ethnic Artificial earrings online are literally outstanding. Check it!